The field of medical imaging seen rapid development over the last two decades and has consequently revolutionized the way in which modern medicine is practiced. Diseases and their symptoms are constantly changing therefore continuous updating is necessary for the data to be relevant. Diseases fall into different categories, even a small difference in symptoms may result in categorising it in a different group altogether. Thus analysing data accurately is of critical importance. This book concentrates on diagnosing diseases like cancer or tumor from different modalities of images. 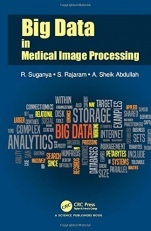 This book is divided into the following domains: Importance of big data in medical imaging, pre-processing, image registration, feature extraction, classification and retrieval. It is further supplemented by the medical analyst for a continuous treatment process. 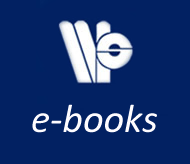 The book provides an automated system that could retrieve images based on user's interest to a point of providing decision support. It will help medical analysts to take informed decisions before planning treatment and surgery. It will also be useful to researchers who are working in problems involved in medical imaging. Author Biography: R. Suganya is Assistant Professor in the Department of Information Technology, Thiagarajar College of Engineering, Madurai. Her areas of interest include Medical Image Processing, Big Data Analytics, Internet of Things, Theory of Computation, Compiler Design and Software Engineering. S. Rajaram currently holds the post of Associate Professor in the department of Electronics and Communication Engineering, Thiagarajar College of Engineering. His fields of interest are VLSI Design and Wireless Communication. A. Sheik Abdullah is Assistant Professor in the Department of Information Technology, Thiagarajar College of Engineering, Madurai, Tamil Nadu, India. His research interests include Medical Data Research, E-Governance and Big Data.